CJ, Logistics, which is taking the lead in creating jobs for senior citizens through Silver Delivery, joins hands with Boaz Center to start supporting the health of Silver Delivery workers. CJ Logistics announced that it entered into an ‘MOU for CJ Logistics-Boaz Center Silver Delivery workers medical business’ with the Ministry of Employment and Labor, Nanum Employment Welfare Center, Boaz Center and Ajou Good Hospital on February 28 at Ajou Good Hospital located in Jangan-gu, Suwon, Gyeonggi-do. The purpose of this MOU is to prevent and treat geriatric diseases through medical examination and medical support, and support the healthy life of Silver Delivery workers. 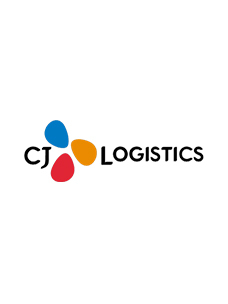 According to this MOU, CJ Logistics will make sure that 450 or so Silver Delivery workers can receive various medical services in affiliated hospitals in Suwon and Uijeongbu. Silver Delivery workers just need to apply for medical support and health examination service individually regardless of region. Boaz Center will make sure that they will go through the basic screening and receive medical checkups and treatment at a local hospital. The medical contribution business will enable Silver Delivery workers to see doctors and receive medical examinations, and if they meet necessary conditions, they can receive medical services at no cost. In ophthalmology, they can receive medical services related to cataracts, glaucoma and retina surgery, and in dentistry, they can receive medical services related to implants and scaling, and they can receive knee joint replacement surgery. In addition, various diagnosis and counseling services will be provided for psychological problems due to senior citizens’ lack of social relationships and loss of self-esteem. “We signed an MOU with Boaz Center, which conducts medical contribution activities, so that Silver Delivery workers can live a healthy life,” said a CJ Logistics official. “I think that the good health of Silver Delivery workers will be very helpful, business-wise and socially.”. Boaz Center is the Suwon branch of Nanum Employment Welfare Center. It is a non-profit organization that carries out activities to support medical expenses and improve community health together with hospitals, corporations and individuals. Meanwhile, according to the founding philosophy of CJ Group, i.e. business patriotism, CJ Logistics is taking the lead not only in creating jobs for senior citizens, but also in CSR activities. In particular, through Silver Delivery, a representative shared value creation model based on the logistics business, the company created more than 1,400 jobs for the elderly, and giving senior citizens joy and rewards. 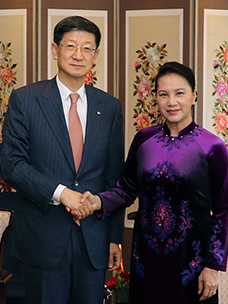 Also, it is carrying out various social contribution activities for the local community and senior citizens, such as ‘Lunchbox of Love,’ which involves delivering free lunchboxes to senior citizens with reduced mobility together with Yaksu Senior Welfare Center, and ‘Sharing kimchi of love’ making kimchi and delivering it to the elderly.